Insight Guide Laos and Cambodia is the most comprehensive full colour travel guide to these two beguiling countries, and provides both inspiration and information to plan a memorable trip to Indochina. The Best Of section shows you the unmissable experiences - Angkor, the region's most spectacular sight, as well as the two contrasting capitals: laid-back, French-influenced Vientiane in Laos and Phnom Penh, Cambodia's animated capital on the banks of the Mekong River, plus relaxing beaches and islands. Lively features immerse you in the two countries' fascinating history and rich culture, from the architectural styles of Angkor, the French influence, and the Khmer Rouge years, to the Royal Ballet of Cambodia and the lowdown on cycle touring in Laos. 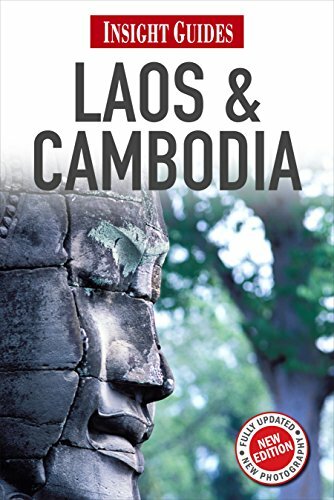 Meanwhile fourteen Places chapters show you where to go in Laos and Cambodia, from Vientiane and Northern Laos down to Southern Laos; and from Phnom Penh and Siem Reap to the Cambodian Coast. There are insightful descriptions of all the main attractions, and detailed, full-colour maps for easy orientation. The Travel Tips section provides comprehensive practical information for before and during your trip, plus our independent reviews of selected hotels and restaurants lead you to the most authentic establishments, full of local character. Andrew Forbes graduated in Chinese Studies from the University of Leeds before completing an MA in Islamic Studies and a Ph.D. in Central Asian History. He lectured in East African History at the University of Khartoum (1977-78) and in Islamic Studies at the University of Aberdeen (1982-88). He has traveled extensively in Asia and Africa and has worked with Insight on more than 30 guides. Currently he is editor of Crescent Press Agency and of Pictures From History, an online image library specialising in historical images of Asia. David Henley is a professional photographer and travel writer based in Chiang Mai, Thailand, where he has lived with his wife and family for more than 20 years. He has worked with Insight on more than 30 guides, as well as writing and providing images for a wide range of other publishing houses and publications. He has traveled extensively in Asia, and is currently Managing Director of CPA Media Ltd (Crescent Press Agency) and of Pictures From History, an online image library specialising in historical images of Asia. Adam Bray has contributed to more than 25 books on travel in Southeast Asia and has reported on his discoveries of ancient Hindu temples and jungle adventures with lost tribes for the likes of CNN, CNNGo, the BBC and National Geographic Traveler. Travels further abroad have taken him to visit Rwanda’s mountain gorillas and report from New Zealand’s Hobbit holes for SyFy. Adam currently resides in Phnom Penh, Cambodia. Simon Stewart is an English freelance writer based in Bangkok, who has lived and worked in Southeast Asia for 10 years ¬– stints in Cambodia and Laos included. He divides his time between university lecturing and travel writing and has written for a variety of publications, on topics ranging from cycling and backpacking to adventure and high-end tourism within Southeast Asia.